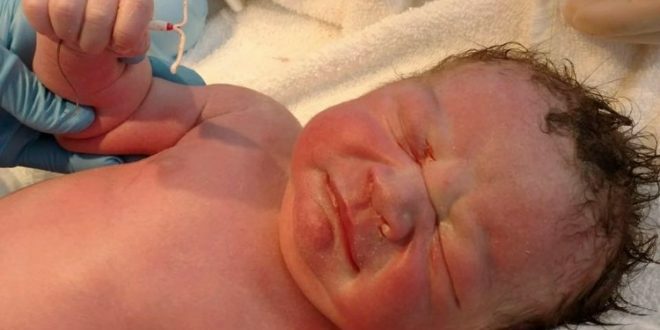 An Alabama baby was allegedly born holding his mother’s Intrauterine Device — the contraceptive that was supposed to prevent her from getting pregnant. Shared online by new mum Lucy Hellein, the photo has garnerd over 70,000 shares on Facebook. When asked if baby Dexter was actually born holding the contraceptive implant in his hand, Hellenin replied, “He was not.” – she did, however, get pregnant while it was inserted. The Mirena was found during her c-section and it was placed in Dexter’s hand as a sort of tongue-in-cheek nod to conceiving. “This was actually my third Mirena, my first two worked great. I had this one inserted back in August. I found out I was pregnant in December and I’ll admit I was scared because of the Mirena. I assumed I was only a few weeks along, but the ultrasound confirmed that I was already 18 weeks along. My Mirena was no where to be found on ultrasound so my OB assumed that it had fallen out, but I wasn’t convinced. Dexter was definitely meant to be. His original due date was May 4th and even the doctor said ‘the force was strong with this one’.